Based in SOUTHAMPTON, Abbey Limos provide a luxury limousine service for all occasions at very competitive rates. For your personal safety we are fully licensed and are 100% legal, all our drivers have PSV (coach licenses), and all vehicles have a COIF Certificate. Please click on the video links below to view the limousines. All the pictures and videos on our websites are the actual vehicles you will be hiring, and you are more than welcome to come round and view them, with no obligation to book. 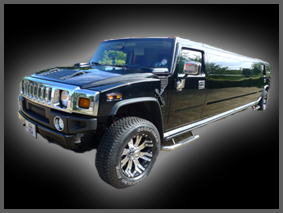 Our Hummer can carry up to 16 passengers. This is the newest Hummer H2 around, inside it has 4 TV Screens, Laser Lights, Colour Changing pin dot Lighting, Large Champagne Bar, Mirrored Ceilings, Air Conditioning, Leather Seating, Tinted Windows, CD Player with iPod Connection, it also has a great sound system with subs. Whether you are celebrating your birthday, a hen night or just a night out with friends the Hummer turns into your own private Nightclub. We can also decorate the inside for an extra personal touch. Inside it has 5 TV Screens, Colour Changing pin dot Lighting, All round Champagne Bar, Mirrored Ceiling, Air Conditioning, Leather Seating, Tinted Windows, Laser Lights, CD and DVD Player with iPod Connection, it also has a great sound system with subs. 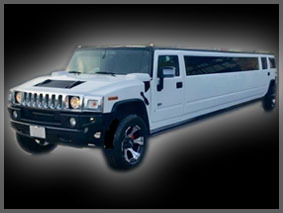 Our Excursion Limo carries up to 14 passengers. 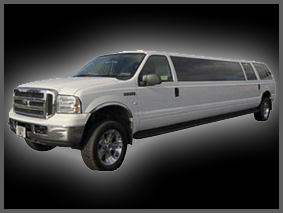 The Ford Excursion is a smaller classic looking limo, inside it has 2 TV Screens, Colour Changing Mood Lighting, Air Conditioning, mirrored Ceilings, Tinted Windows, Leather Seating, it comes with a CD Player and iPod connection. 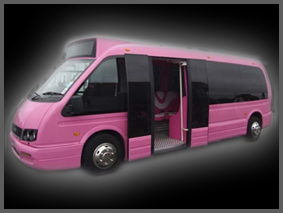 Our Party Bus carries up to 16 passengers. The Bus has a custom interior with 2 TV Screens, one large one at the back and a 15 inch at the front, Air Conditioning, Tinted Windows, Laser lights, sound system with all round speakers and iPod connection.